Santa Clara, Calif., September 3, 2013 – Coherent, Inc. (Santa Clara, CA) (Nasdaq: COHR) has expanded their family of industrial ultrafast lasers with the Talisker HE series, whose high energy pulses enable drilling, cutting and scribing of thicker materials than with other ultrafast lasers. 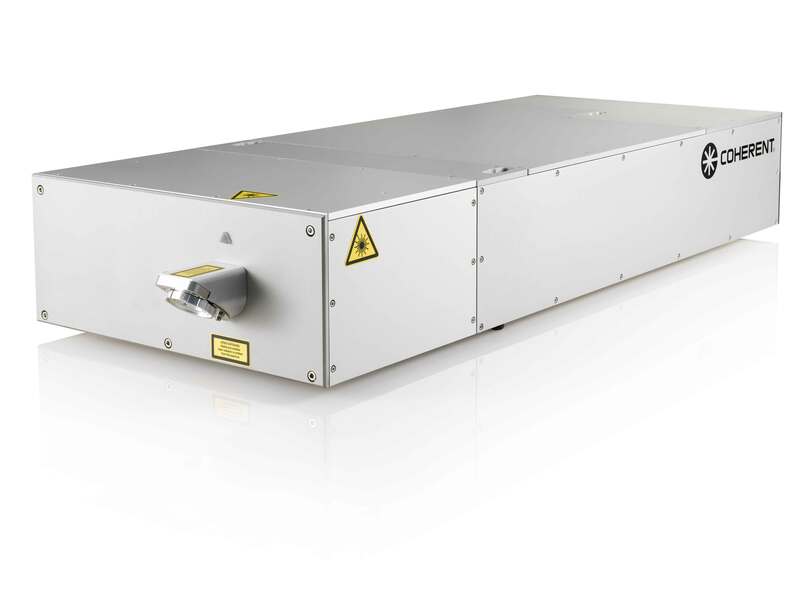 Talisker HE lasers are available with a choice of output options; 200 µJ pulse energy in the near-IR (1064 nm), 120 µJ per pulse in the green (532 nm), or 40 µJ pulse energy in the ultraviolet (355 nm). Talisker HE is ideal for high-throughput, precision materials processing in industries such as automotive, biomedical, consumer electronics, mobile display & 3D semiconductor. Talisker lasers are a family of industrial picosecond products, well documented to deliver higher quality process finished goods than conventional pulsed lasers or non-laser micromachining methods. Picosecond lasers achieve the quality improvement using a process known as ‘Cold Ablation’, due to negligible unwanted thermal effects. The result is improved process quality with minimized heat affected zone (HAZ) and no unwanted melt debris. Cold Ablation occurs when the intensity of the laser beam exceeds the ablation threshold. The pulse energy of the new Talisker HE series is significantly higher than other lasers in the Talisker family. The significantly higher pulse energy extends the optical depth of the focused beam so that cold ablation occurs throughout the full thickness of the target material, eliminating thermal debris. The higher energy pulses are used in a variety of materials processing techniques. Single shot pulses replace percussively drilled holes; very thick materials are drilled with reduced taper; engraving and trepanning benefit from deeper, high aspect ratio structuring. The Talisker HE distinguishes itself with superior pointing stability. Pointing stability is critical to drilling thick materials where the pulses must be directed to the target with dependable accuracy. The maximum material thickness is ultimately limited by a combination of the laser pulse energy and the pointing stability.